​Actor Song Joong Ki showed perfect boyfriend looks and caught the attention of his fans. 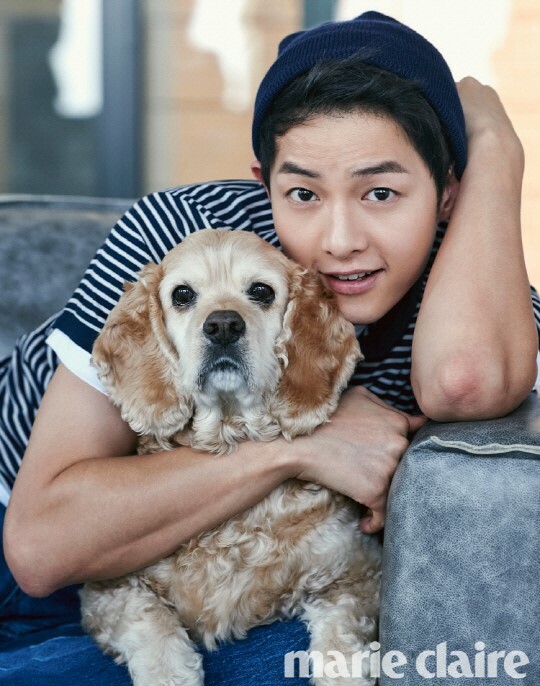 On May 18, fashion magazine 'Marie Claire' unveiled pictorials of Song Joong Ki, who recently gained his popularity from mega hit drama 'Descendants of the Sun.' In the photo, Joong Ki matched stripped shirts with gray jeans. He gave a point to his styling by wearing a beanie. Meanwhile, Joong Ki is currently shooting a movie entitled 'Battleship Island.' He will play the role of a Korean soldier named 'Park Moo Young,' who is secretly entered Battleship Island to rescue a key personnel.